The 08MLW09GCUP3 Cup And Saucer Desig can be ordered. Fits Honda. 08MLW-09G-CUP3 is the manufacturercode. 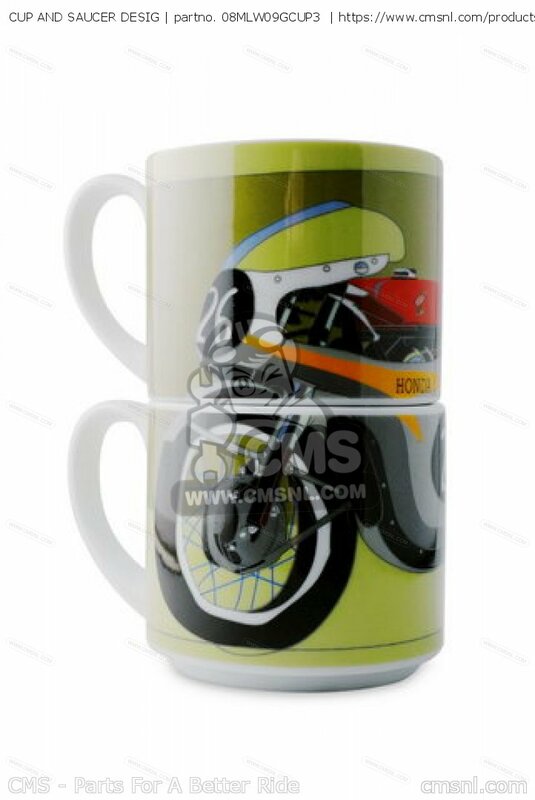 Another superb ceramic collector's item, available in very limited numbers on strictly first come first served basis. 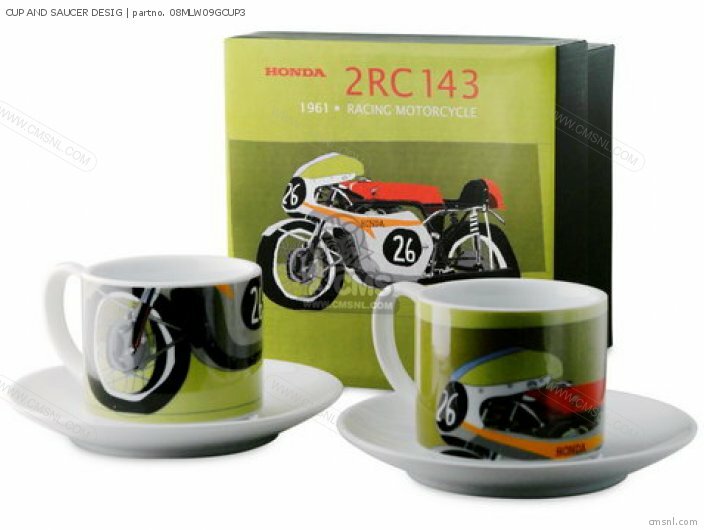 This twin cup and saucer set depict the 1960-61 RC143 125cc Grand Prix World Championship race machine ridden by Australian Tom Phillis. The complete machine can be viewed when putting both cups together. Serious collectors will not wish to miss out on these superb collector editions. Even the presentation boxes are a delight! Worth the price for the box alone! Add as many parts as you like to your shopping cart and pay just one fixed price shipping cost. enthusiasts when purchasing high quality replacement parts for Japanese motorcycles. If you want to discuss this CUP AND SAUCER DESIG, please go the forum and post a message.